Young Justice Takes a Dip in the Lazerus Pit? Early February, the internet exploded with rumors of Netflix possibly bringing back the beloved (and tragically shortlived) series after releasing Season 2 on their streaming service. 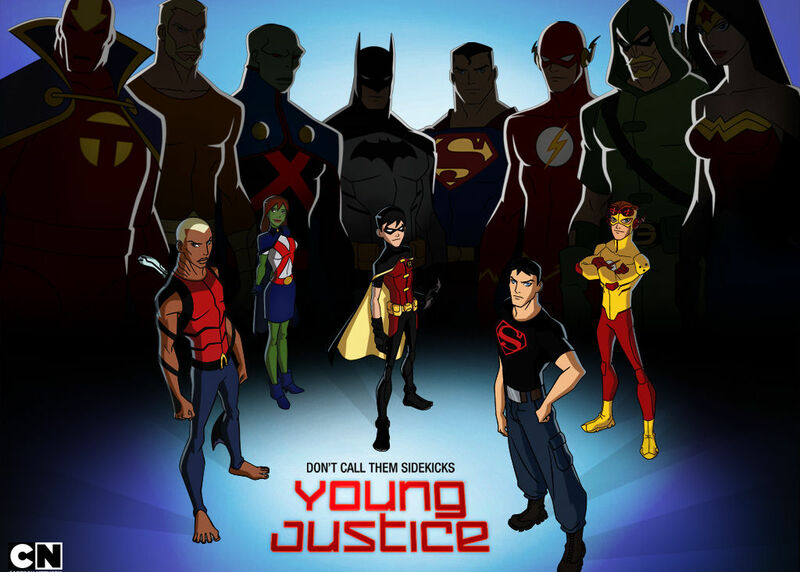 Though Young Justice was highly rated in Cartoon Network’s DC Nation animation block, the show was baffingly axed before airing it’s third season. Shortly after the cancellation was announced, Paul Dini (writer for Batman: The Animated Series and creator of Harley Quinn) speculated on this briefly on Episode 52 of Kevin Smith’s “Fatman on Batman” podcast. Dini noted a growing trend in Cartoon Network of cycling out shows they feel are “too old” for their target demographic. Dini also went on to speak of his experience with other television executives, alluding that some would outright discourage a female audience, their reasoning being “they [girls] don’t buy toys.” Though Dini strongly mentioned not hearing these sentiments from Cartoon Network executives, the thought of these attitudes are unsettling when speaking of the future of comic book inspired animation. There is still hope! Recently, Danica McKeller (voice of Miss Martian) recently did a Periscope Q&A, speaking of an ongoing twitter campaign to ressurect the show. Mckeller, amoung other Young Justice alumni have joined their voices (and twitter accounts!) to the cause, asking fans to continue tweeting and streaming to gain the attention of Netflix executives. If Deadpool’s swelling box office numbers are any indication, this plan is just crazy enough to work! As always, stay awesome, and keep watching Young Justice!! !